The Peoples Democratic Party (PDP) has insisted that its candidate, Abba K. Yusuf, won the Kano state governorship election, saying any declaration that does not reflect such cannot stand. 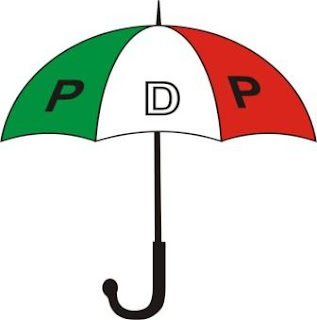 The main opposition party said the whole world knows the PDP and its candidate, Abba Yusuf, won the Kano state governorship election since March 9, 2019, having fulfilled the constitutional requirement of securing the highest number of votes and the statutory 25 percent in two-thirds of the state. A statement on Sunday night by the spokesman for the PDP, Kola Ologbondiyan, said the governorship supplementary election in Kano was a national disgrace and a mere figure allocating exercise by compromised INEC officials. According to Ologbondiyan, INEC collaborated with “power drunk” politicians in the All Progressives Congress (APC) to award results to the APC candidate. The party cautioned INEC against any attempt to import contrived figures from the “illegitimate” March 23 “charade”, saying doing so would be a clear recipe for anarchy and serious crisis in the state. “The Kano people have abundantly expressed their rejection of the corrupt and incompetent government of Abdullahi Ganduje and his party, the APC, and no amount of machination can cow or force them to abandon their resolve for a new governor in Abba Yusuf,” the statement added.